When you use a skin care product on your face or body, you must first be aware of the skin type you have. This way you can make sure that you are using the right products on the skin. Never go for all products you get in the market. First check whether it is suitable for the type of skin you have and then buy the product. This way you can save your skin from any damage that may be caused due to the use of wrong skin care products. If you are not sure as to what type of skin you have, you can go to your nearest beauty parlor and take the advice of the beautician. As you know, there are different skin types and the care of each type of skin is different. Combination skin is also very common and it is somewhat difficult to take care of. When you have a combination skin, your skin may be more oily than dry or it may be more dry than oily. So first you have to check which is more dominant. Whether it is more oily or more dry, the T-zone (your forehead, nose and the chin) will always be oily. People with combination skin have a shiny skin and visible pores. They may also have blackheads. During the summer months it may become too oily and during winter it may become too dry. So the skin products you use vary accordingly. When you skin produces less amount of sebum than that is required, your skin turns dry and dull. So you have to take measures to prevent dryness by using products that will return the lost moisture back to your skin. Always make sure that you skin is well moisturized and hydrated. Make sure that the products you use have oil-based ingredients and humectants. Dry skin has no visible pores, but it may have red patches and more visible lines. It is also less elastic. When it is very dry, it may become too rough and scaly. Wind, sun and cold can make it dry. So use mild shampoos and soaps and apply a rich moisturizer on the skin. Creams are better than lotions for dry skin. 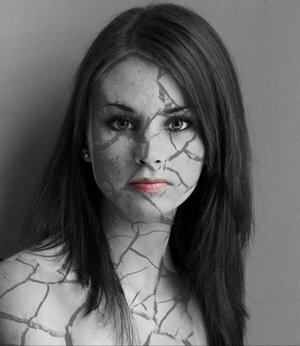 Mature skin is not usually discussed when we talk about different types of skin. As you age, your skin also undergoes various changes. Mature skin is the result of ageing. With advancement in age, there is a reduction in the production of sebum and the skin is not able to repair itself. The skin becomes dull and dry and often attains a withered look. Ageing of the skin can take place at any age, even as early as 20 years. If you have mature skin, you have to nourish it well from outside as well as inside, as it is unable to repair itself and becomes dry and dull. So you can start using anti-ageing products, but you must make sure that the products you use are really good for your skin. A healthy diet is also very essential. Drink lots of water. You must start taking extra care of your skin and supply it with proper nourishment skin routine for mature skin is completely different from the skin care routines that you follow for other skin types. Normal skin is neither too oily nor too dry. It is also not very sensitive to various skin care products that you may use. Pores on the skin are barely visible if you have a normal skin. You will also have a glowing complexion. If you have a normal skin you will not have much difficulty in taking care of your skin. Your must consider yourself very lucky if you have normal skin, as it is not very common. You can use any skin care product and it will work well for you. 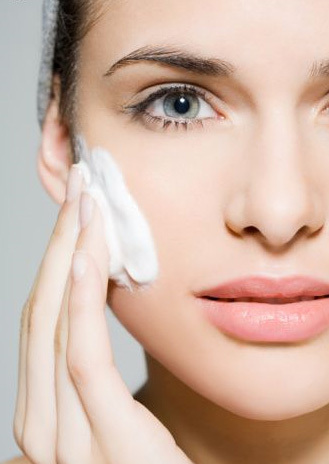 Oily skin is the most common type of skin found in human beings. It s very difficult to maintain and often you suffer from breakouts. Oily ski becomes dull very easily. Pores are very much visible on oily skin. You also suffer from blackheads, pimples and other such skin problems. You get oily skin because the sebum produced is in excess. One of the woes of people having oily skin is that there are very few skin care products available in the market for oily skin. Moreover, very few of them are really effective on the skin. Oily skin needs excess water and also some oil. So, do not fully avoid oil. Water based moisturizers and clay-based products are good for oily skin. Do not think that you need not apply any moisture if you have an oily skin. You must use a good moisturizer as our skin does not have moisture. It is just oily, not hydrated. Rather than being a skin type, it is a condition of the skin. Some skins are very sensitive and are affected by any cosmetic you use. It becomes irritated, itchy, and shows red patches very easily. Sometimes it may also show dry patches that may start to flake. This condition is found in all types of skin, whether it is oily, dry or a combination skin. As a result you are not able to use many of the cosmetics that you get in the market. For some people, the skin shows problems when you use a product and then becomes normal as soon as you stop using it. But in others even after you stop using a product that cause you skin problem, you may suffer from it for a long period of time. So make sure to which ingredient in the product your skin is sensitive and avoid it. Always be extra careful when you use a new product and make sure that it is mot allergic to your skin.